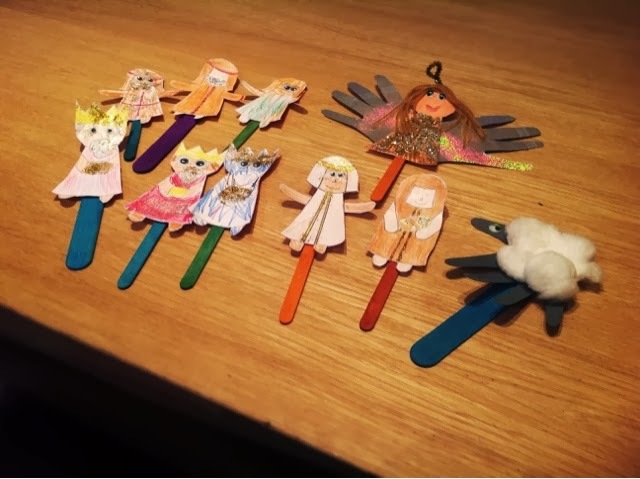 We already had our angel made, you can see how make one here: Make An Angel Puppet on A Stick. We also had a sheep we made in spring that we used, you can see how to make one of those here: A Simple Sheep Craft. 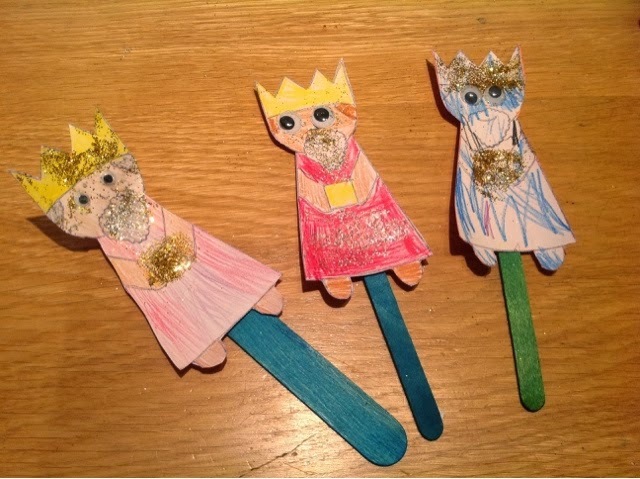 For the Shepherds, the three Kings, Mary and Joseph I made up these Free Downloads for Nativity templates. We stuck the templates onto some card. 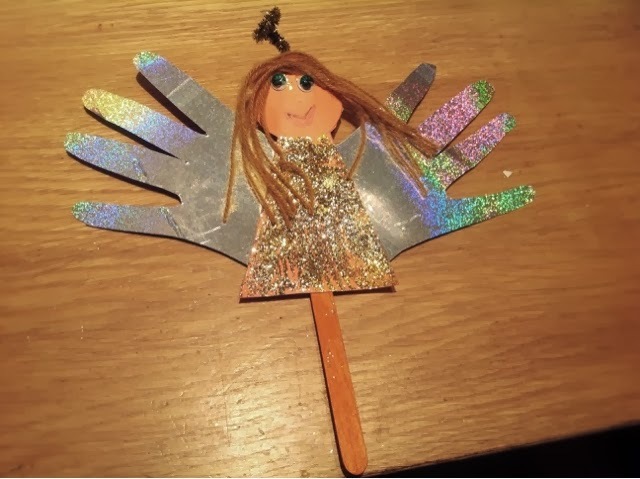 We stuck a lolly pop stick on the back with some PVA glue. 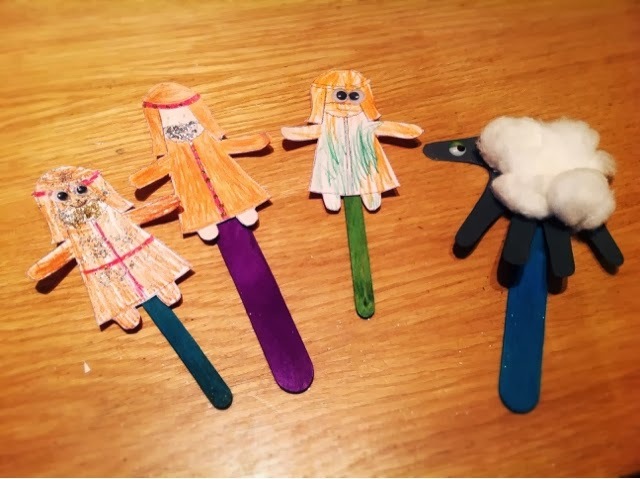 I also glued a lolly pop stick to the back of the sheep. 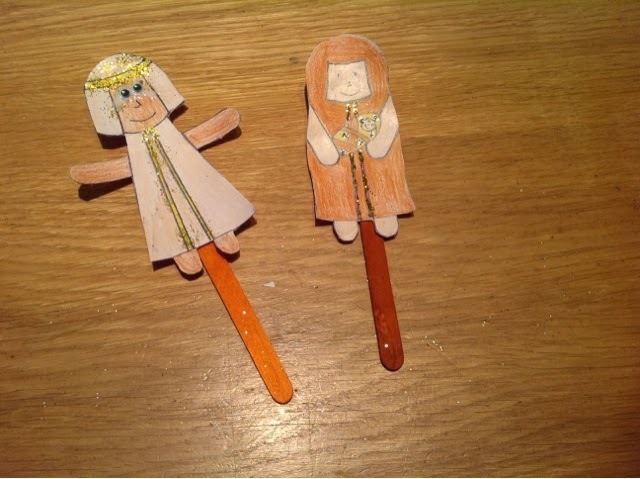 We then left them to dry ready for tomorrow when we are going to have our own mini Nativity play with them. My 6 year old is the most excited! Thanks for joining me. They are such lovely Puppets. My head that I wanted to make a hard and fast of Christmas puppets for the hooligans. Thanks a lot for sharing. Refer college paper writing service to select topics and write down for it.